Kelly Clarkson and Blake Shelton are reteaming, but this has nothing to do with The Voice or an album collaboration. Clarkson toplines the voice cast of UglyDolls, an animated musical adventure centering on Moxy’s (Clarkson) quest to find new adventures beyond the cozy confines of Uglyville. Nick Jonas is the voice of Lou, a “perfect” individual who thumbs his nose at all the UglyDolls, with Shelton voicing the role of an UglyDoll named Ox. The feature is directed by Kelly Asbury, the director behind 2017’s Smurfs: The Lost Village. 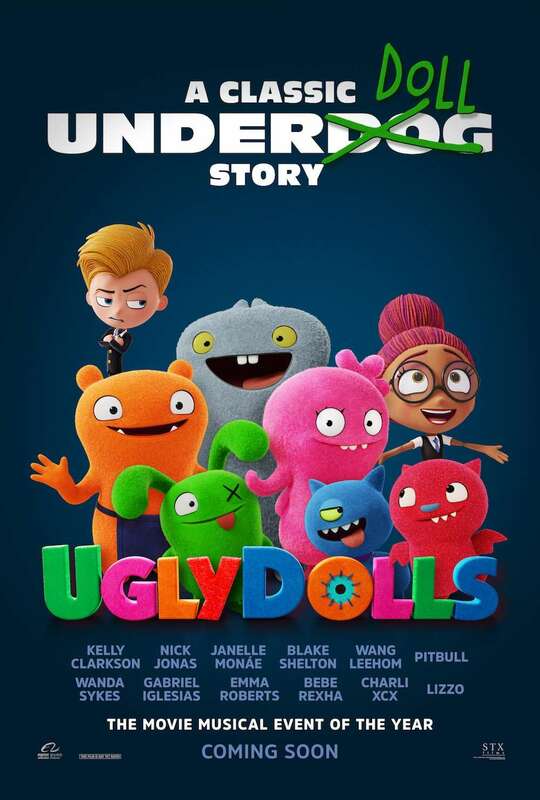 One of the big draws for UglyDolls, along with it being based on a successful plush toy line, centers on the music talent involved in the project (the movie co-stars Janelle Monáe, Bebe Rexha and Pitbull), and the Clarkson original song (“Unbreakable”) at the end of the trailer is catchy as can be. Check out the latest trailer and tell us what you think!